Very low after-sales assistance rates have been achieved thanks to a systematic application of tests as well as strict and selective inspections on material and products. 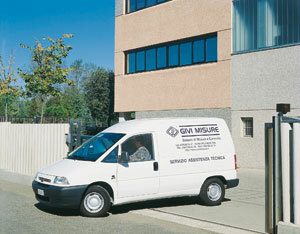 The quality of service offered by GIVI MISURE can be particularly appreciated in terms of prompt after-sales service. Customer assistance is directly carried out by GIVI MISURE’s technical personnel or referred to specifically trained and authorized qualified dealers All products manufactured by GIVI MISURE are indeed marketed and assisted by primary organizations acting in the main foreign markets. All instruments benefit from a long period of after-sales warranty. According to the type of use, the warranty terms can be extended up to thirty-six months on mutually agreed terms & Conditions. The full warranty coverage proves the high quality standard of products.